A new California-based startup called TagCandy is helping marketers find the right hashtags to grow their social media audience. 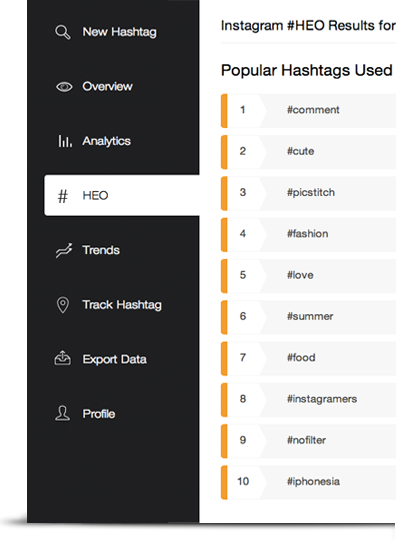 TagCandy’s Hashtag Engine Optimization (HEO) tool retrieves information based on hashtags to help users find top-rated and frequently used hashtags and associated keywords. Plus, the tool enables businesses to chart and track trending tags on a variety of social sites, including Twitter, Facebook, Instagram, Tumblr and YouTube. By using better performing hashtags, marketers are able to reach a larger, more relevant audience. Hashtags can also help businesses increase their visibility outside of social networks, as post engagement can contribute to backlinks, which can increase rank in the search engines. It is also important to note that TagCandy offers analytics, which provide real-time data on the success of hashtags, as well as historical data that shows how well the hashtag has performed over a period of time. For those who are interested in TagCandy, the platform offers a plans starting at free and ranging to $39.99 a month.